IoTAS offers global testing solutions to the wireless community. The company is a specialist field testing company offering professional outsourcing solutions for 3GPP, wireless network testing and other wireless technologies. IoTAS is a founder member of the Global Certification Forum (GCF) Ltd and is an active participant in the GCF Field-Trial Agreement Group (FTAG) meetings; contributing to the ongoing global requirements for the certification of 3GPP based wireless terminals. IoTAS is committed to being a recognised leader in live network field-testing by working with its customers and industry forums to provide solutions that meet customer needs, objectives and certification requirements. IoTAS is also an associated member of Cambridge Wireless. IoTAS offers the following services in cellular device testing: A global field-testing solution (GSM, GPRS, EDGE, UMTS, HSPA, CDMA, LTE, LTE-A) with local resource in Australia, France, Germany, Hong Kong, Japan, Spain and the UK, delivering bespoke field-testing solutions to suit the needs of our customers, from GCF field testing to pre and post global launch testing in specific geographic locations around the world. IoTAS has completed live network testing on all categories of Mobile Phones, Data Cards, Tablets, E-readers and bespoke devices for Device Manufacturers, Protocol Stack Suppliers and Network Operators. IoTAS Australia, also completes pre-network testing and network testing on all pre-approved devices for the network operator Telstra. With over 15 years experience in the 3GPP testing arena IoTAS is also able to offer consultancy, support and program management for customers seeking conformance and regulatory services. IoTAS is an equal opportunities, ethical, anti-slavery employer. We adhere to ‘legal working practices’ and provide our customers with quality oriented results. Accordingly the company is a UKAS accredited testing laboratory to the international standard ISO/IEC 17025 (Accreditation No. 7619) that demonstrates technical competence and the ability to produce precise and accurate test data. United Kingdom Accreditation Service is the sole national accreditation body recognised by the British government to assess the competence of organisations that provide certification, testing, inspection and calibration services. The Global Certification Forum (GCF) was founded in 1999, in response to changes in the regulatory environment in Europe, to give operators confidence in the interworking of new mobile devices at a time of rapid technological development and market growth. Recognised Test Organisations (RTOs) are GCF Members that have demonstrated they possess the experience, qualifications and systems to assess mobile phones and wireless devices against GCF’s Certification Criteria. GCF Assessment Capable Entities (ACE) are organisations that are capable of determining the range of tests required to certify a device and assessing all the test results to ensure the device satisfies all relevant certification criteria. Suitably qualified GCF Members can offer their services as Third Party Assessment Capable Entities to assist Associate Manufacturer Members with the certification of their connected devices or Client Vendor Members with the certification of their client applications. Cambridge Wireless (CW) is a leading and vibrant community with a rapidly expanding network of nearly 400 companies across the globe interested in the development and application of wireless and mobile technologies to solve business problems. 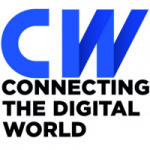 CW connects those companies and stimulates collaborative innovation through a range of thought-provoking high-profile networking events. Addenbrooke’s Charitable Trust (ACT) is the only registered charity (no 1048868) dedicated to supporting innovation in patient care across Cambridge University Hospitals NHS Foundation Trust, which runs Addenbrooke’s and the Rosie hospitals. IoTAS are specialists in wireless networking testing and solutions we provide professional outsourcing solutions for 3GPP and other wireless technologies.